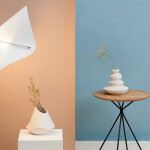 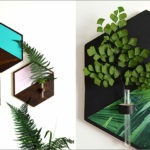 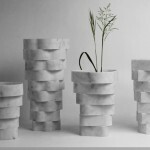 Finnish designer Tuomas Markunpoika, worked together with Gallery FUMI and pencil company Faber-Castell, to create a collection of vases named, Amalgamation. 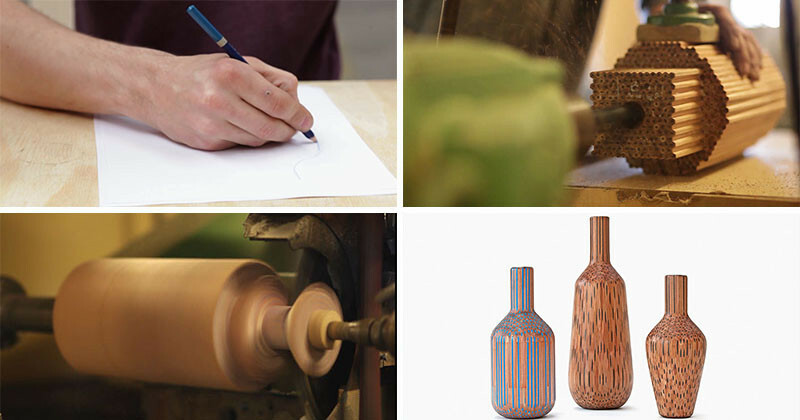 It all starts with a sketch of what the vase should look like. 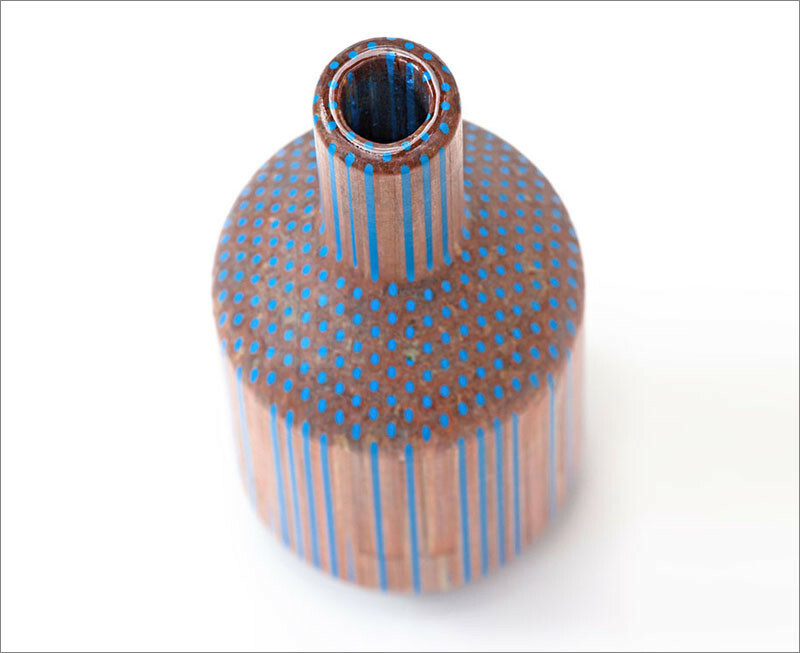 Then, he glues pencils together to create a solid block. 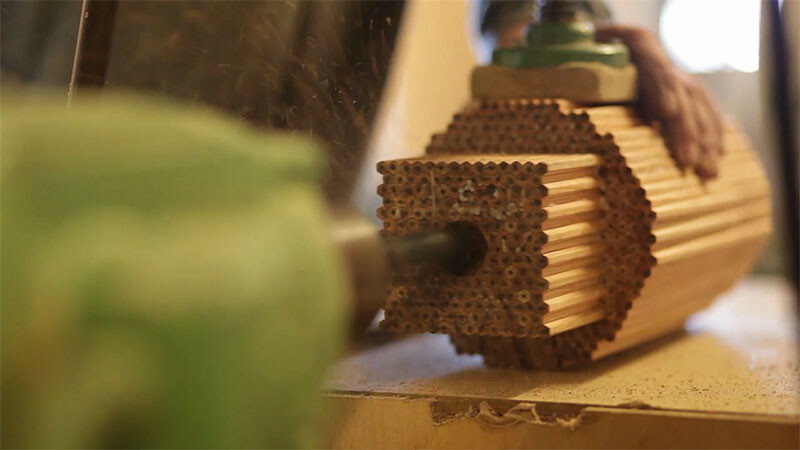 This is what the block of pencils looks like once it all been glued together. 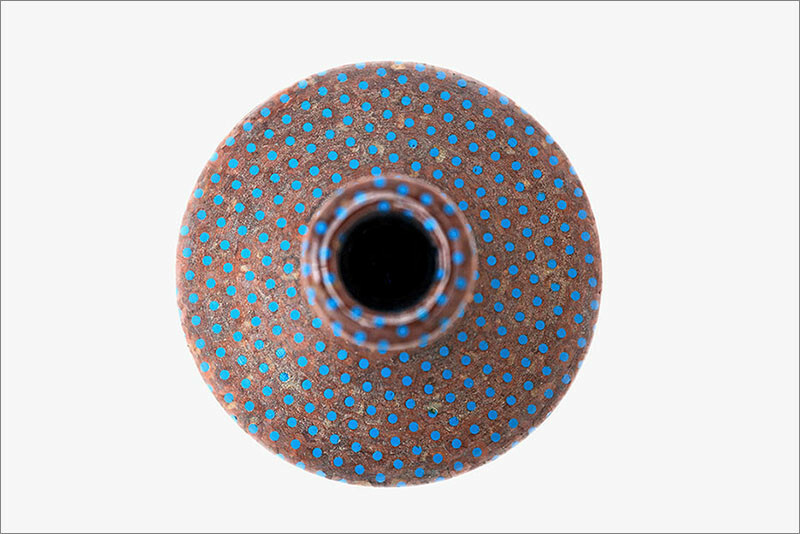 The block is then placed on a lathe (wood turning machine), which will then carve out the vase shape. 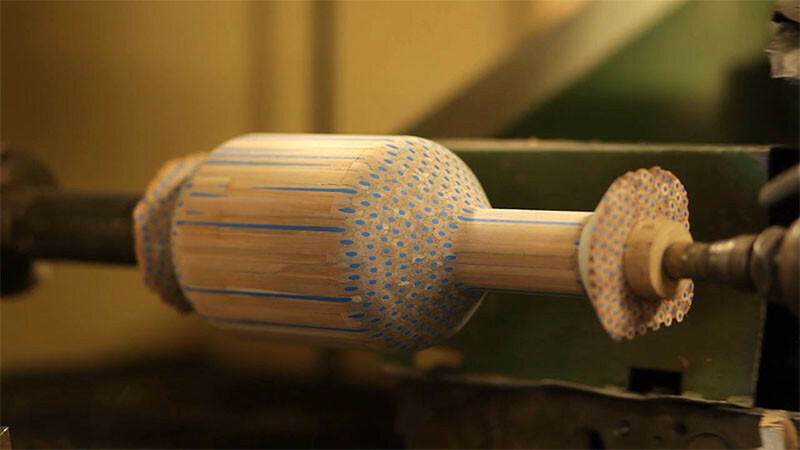 This is what the block of pencils turn into once they’re done on the lathe. 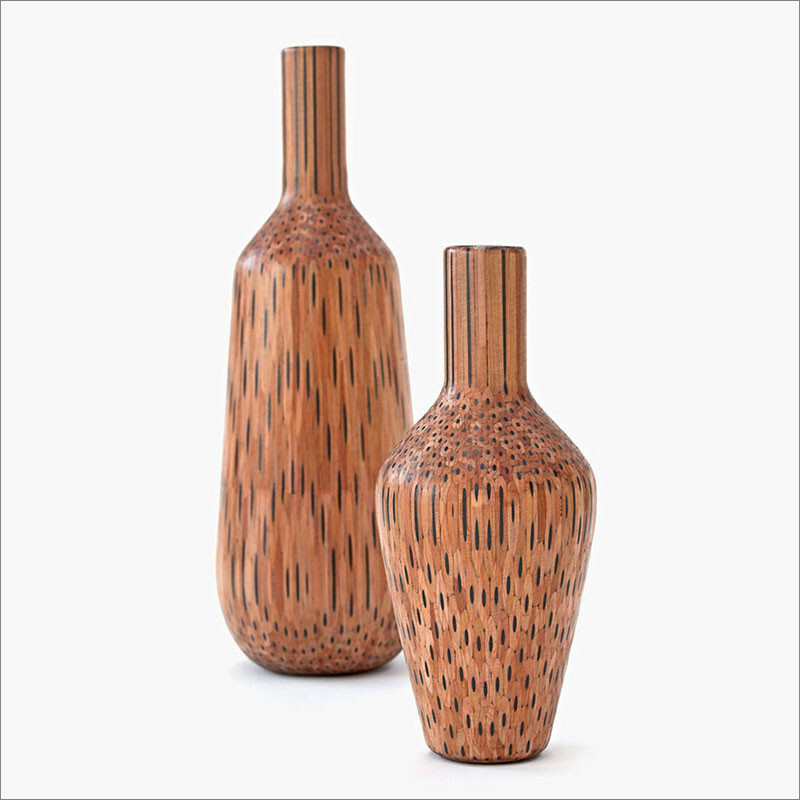 The vase is then removed from the lathe and finished to make the final product. 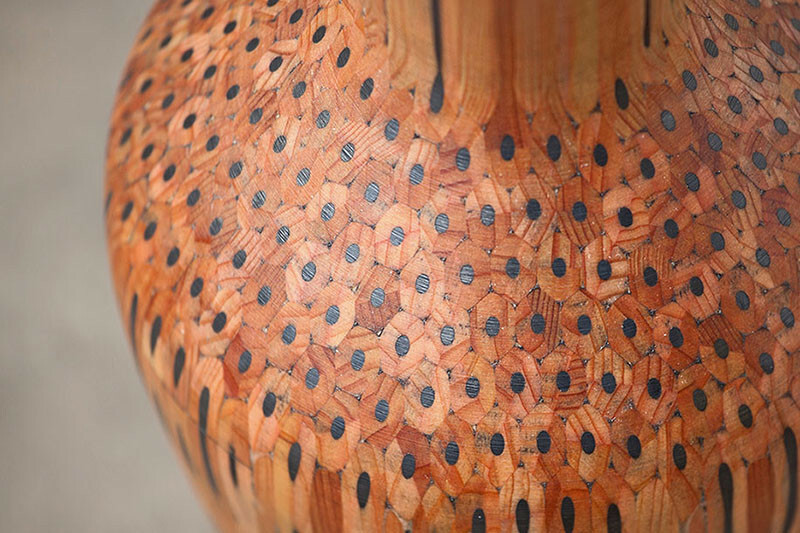 You can see that when the vases were turned, the inner structure of the pencil is revealed. 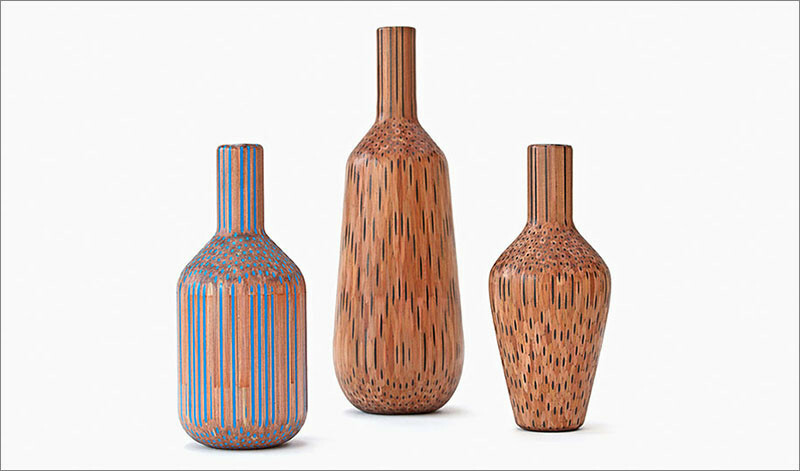 By revealing the lead, the pattern and color is exposed depending on the shape of the vase. 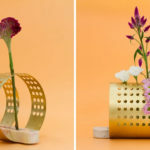 Watch the video below to see how it is all done.